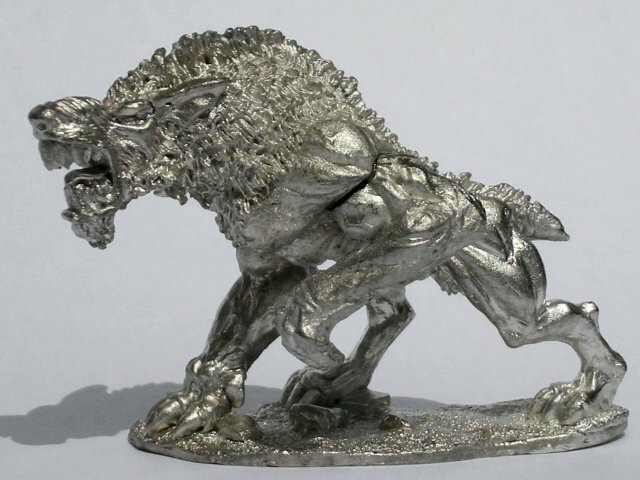 Sculpted for Reaper Miniatures by Ben Seins, the Moor Hound inspired a species of intelligent but dangerous “western wolves” for my upcoming Dungeons & Dragons campaign. After cleaning the model, I had only to attach his left foreleg. As usual, I employed two-part epoxy, but I didn’t bother to pin the joint. Instead, I used a tiny rubber band to secure the limb while the epoxy cured.